The 10-story Sea Pointe Resort offers one-, two- and three-bedroom condominiums and a quiet, large beach to bathe in the sun and read a book or build your next sandcastle. The well-lit, three-story parking deck is only a short walk to the one of two elevators (conveniently covered from the weather). The property also offers a convenient handicap ramp. Brought to life in 1984, the building has a total of 88 units that are all direct oceanfront! Natural sunlight streams into these oceanfront condominiums from the balcony that overlooks a spectacular dune line brimming with waving sea oats. The indoor swimming area has floor-to-ceiling windows on two walls so the sun shines in while you splash and play in the sparkling blue swimming pool or enjoy soothing soaks in the Jacuzzi that is only two stair steps away. The Sea Pointe oceanfront sundeck is another place where you can enjoy some relaxation. Just bring your beach towel, a good book and grab a chaise lounge. 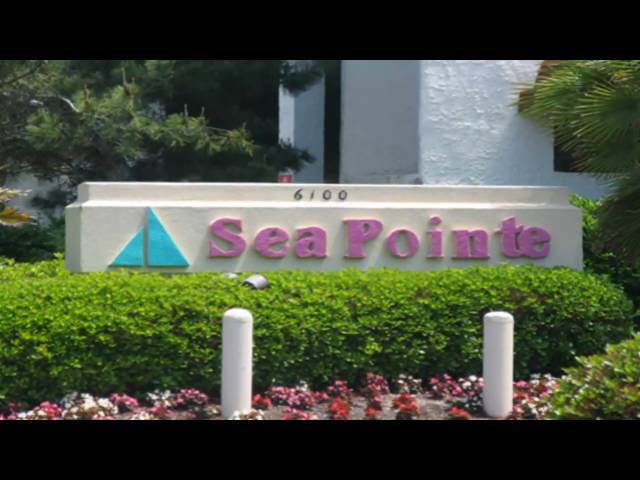 All in all, Sea Pointe is the place to be at the beach!